The historical City Centre of Ghent is within 700m from our hotel. Come and explore Ghent's city highlights such as the Saint Bavo's Cathedral, the MIAT museum or other highlights. After exploring the city, enjoy free WiFi and our comfortable rooms. 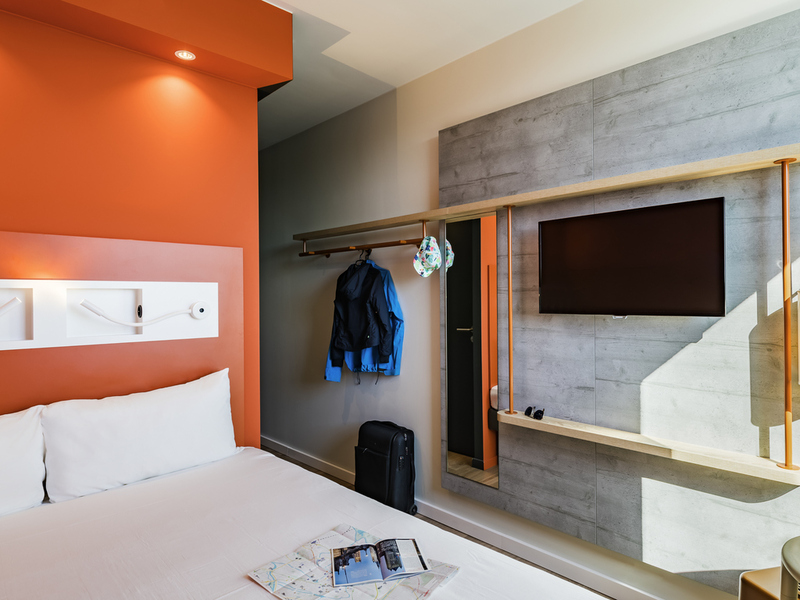 Ibis budget Gent Centrum Dampoort is ideally located in the city of Gent next to the train station, only 10 minutes walk to the historical city centre and close to the "Port of Ghent. The major venue locations such as the Gent Expo and ICC are within a 10 min drive. Relax in the brand new and modern rooms, enjoy the all-you-can-eat buffet breakfast and benefit from our free WIFI and private indoor car park. Due to its ideal location in Gent and our private indoor car park, our hotel is easy accessible by car/ foot/bicycle or public transport. The nearest trainstation is only 5 minutes walk!